I don't know about you guys but I am already creating outfits in my head for all the upcoming holiday parties. It never hurts to plan ahead. And now you can be party ready in an instant as well, because Black Friday is just around the corner. 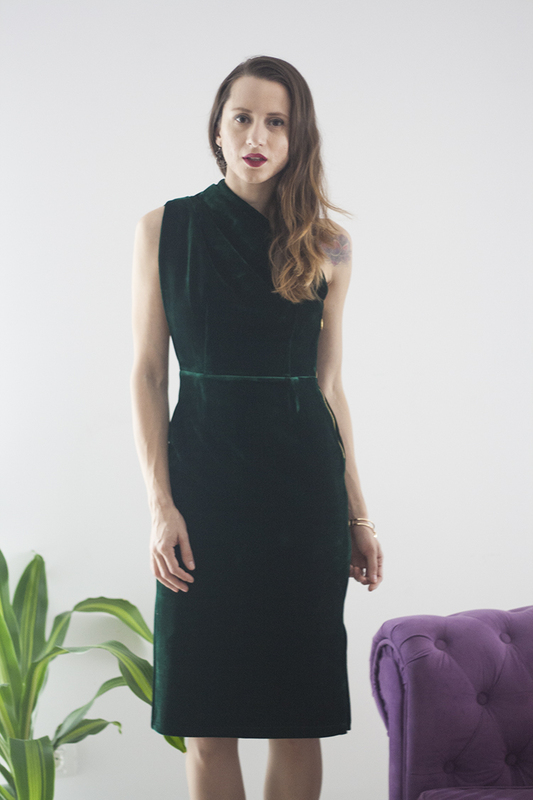 You can shop this gorgeous green velvet dress and many others on sale on www.womanfashion.ro. Sales start on Monday, November 20th and you will get 25% off, free shipping and a free shirt if your order is 200 lei or more. Use the code SkinnyBuddha25 to get the 25% discount. Check out the entire Black Friday offer here. Happy shopping! Nu stiu voi, dragele mele, dar eu deja am inceput sa imi creez in minte tinutele pentru toate petrecerile de sarbatori care vor urma. Nu strica sa te pregatesti dinainte. Iar acum puteti si voi sa fiti pregatite de petrecere, pentru ca se apropie Black Friday. Puteti a achizitiona aceasta rochie verde de catifea absolut superba, si multe altele, la reducere pe site-ul www.womanfashion.ro. Reducerile incep luni, 20 Noiembrie, si veti beneficia de discount 25%, livrarea gratuita si o bluza cadou la cumparaturi de peste 200 de lei. Tot ce trebuie sa faceti este sa folositi codul de reducere SkinnyBuddha25 pentru a obtine discount-ul de 25%. Vezi aici intreaga oferta de Black Friday. Spor la cumparaturi! Love so so much this dress!! Specially the tattoo!! what brand and shade of hosiery are you wearing in this picture? You look gorgeous! Your dress and shoes are fantastic! This outfit could be used for official events and for more formal occasions. I think that every woman must have several stylish dresses in her wardrobe and use them when she has such opportunities. I like to buy dresses for my outfits at toreviewproduct.com shop.